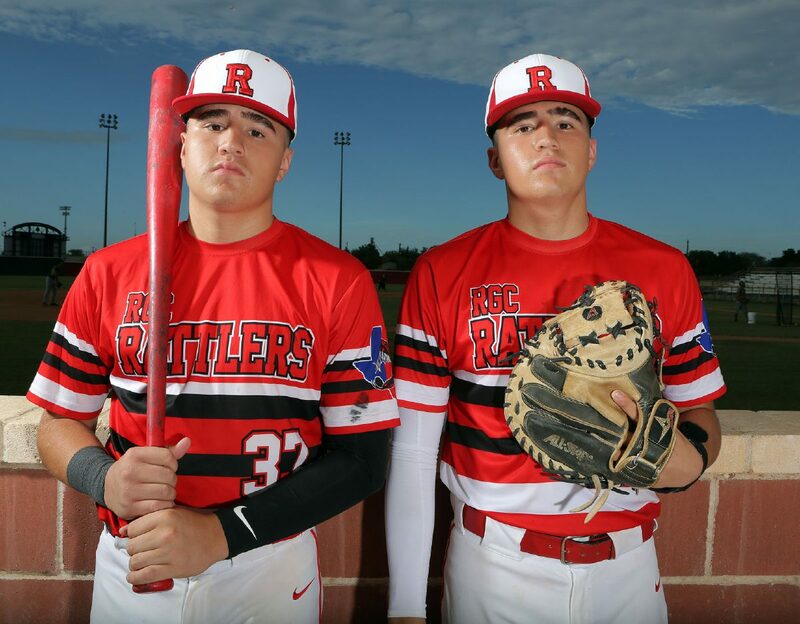 The Monitor's 2018 All-Area Newcomers of the Year, left to right, Eduardo and Emmanuel Garza pose at Rio Grande City baseball field at Fort Ringgold on Thursday, June 14, 2018, in Rio Grande City. RIO GRANDE CITY — For Rio Grande City’s Garza twins, Emmanuel and Eduardo, one fateful night when they were seven changed the course of their lives. The boys had just received a new TV and a new PlayStation console, which had them occupied watching a movie. Emmanuel had another trinket that had him captivated — a yo-yo. All of a sudden the yo-yo went flying, smashing into the TV. Their parents came in furious. The next day their father, Eddie, sold their PlayStation and signed them up for baseball. 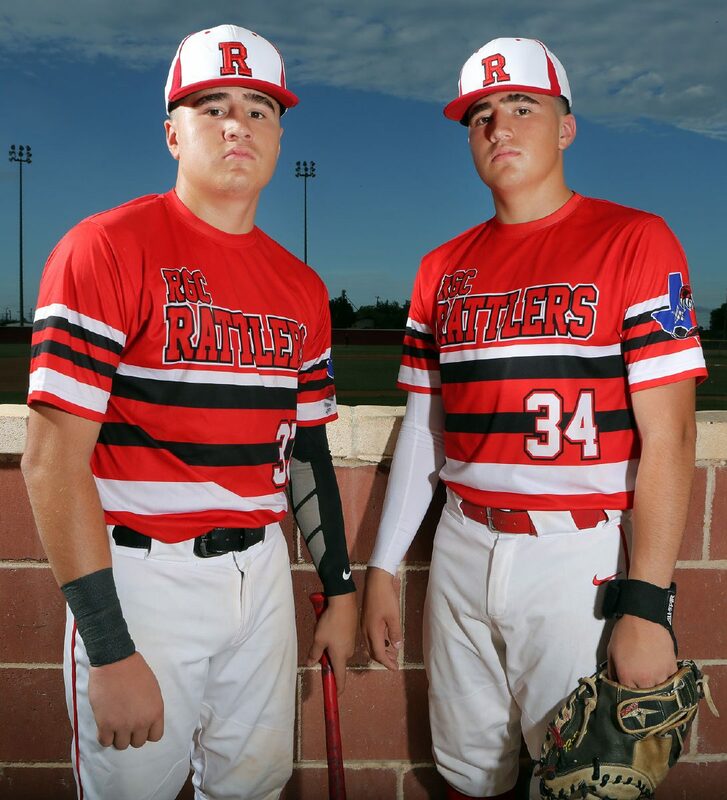 The Garza twins have not had a gaming console since, but they have instead focused all of their attention on becoming the best baseball players they can be. The brothers have gotten to do a lot of things in the game of baseball, but this season was the culmination of everything they have worked for. Eduardo and Emmanuel finally got to wear the Red and White of the Rattlers. Their father was a Rattler, their mother, Karla Garza was a Rattler, and their older sister Melissa Garza was a Rattler. This year, Eduardo hit .360. He drove in 16 and scored 12 times. He hit five doubles, two triples and one home run. He mostly played at third base. Emmanuel, the catcher, hit .530 with 29 RBIs, 53 hits, 13 doubles and two triples. For a good chunk of the season, they were both hitting over .500, but Eduardo cooled off just a bit, while Emmanuel rose. The boys, along with fellow Rattlers’ freshman Mikey Ramos, have been playing together for a long time. Ramos’s dad was the trio’s first coach. The relationship they forged led to an incredible moment this year, when Ramos got to take the mound for the first time, and the catcher behind the plate was Emmanuel. The Garza twins are used to big time baseball. They went to the state tournament in Little League at 11. They played in a camp at Cooperstown when they were 12 (a camp, by the way, that has housed MLB names like Delino DeShields and Bryce Harper). When they were 14, they got to play in Jupiter, Florida, at the MLB spring training facility for the St. Louis Cardinals. Emmanuel grew up looking up to Yadier and his brothers. And just like the Moline family, Emmanuel is hoping he and his brother get to play in the MLB together one day. It goes without saying that the twins along with Ramos, present a bright future for RGC. But, that doesn’t even take into account the talent they have around them. District 31-5A All-District first team pitcher Osvaldo Perez will be entering his senior year. Freshman Mark Perez also made an impact this year. And the Rattlers are hoping to have another talented crop of freshman enter the program. The Garza twins have lofty goals. They want to make it to state and make history for Rio Grande City. Just don’t ask them to play “Call of Duty.” They would rather play catch.